Clay pebbles are an excellent growing medium typically used in flood and drain or ebb and flow hydroponic growing systems. There are a variety of resources online that can show you how to build your own system or you can purchase a ready to use system at a hydroponic store. 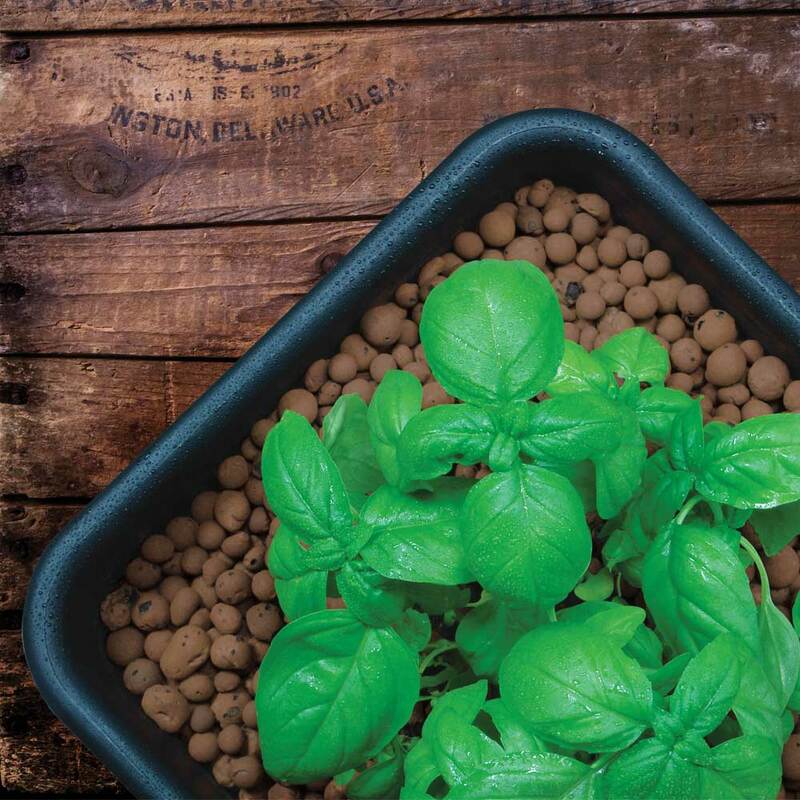 In this article, we will guide you through the process of using clay pebbles as a growing medium in a flood and drain hydroponic system. A flood and drain hydroponic system consists of two levels: a planting container and a reservoir. Water is pumped from the reservoir to the planting container and then drained back into the reservoir to be recirculated. Typically, the system is controlled by connecting the pump to a timer so that water can be pumped through the system at set intervals throughout the day. 1. Rinse expanded clay pebbles to remove excess dirt and debris. 2. Fill plant container with clay pebbles. 3. Sprinkle seeds over clay pebbles directly or transplant seedlings into system. You can often find that new transplants are started in rockwool. 4. Fill the reservoir with a nutrient enriched solution following the product’s specifications. Empty your reservoir and refill with new nutrient solution approximately every two weeks. You may have to refill your reservoir more frequently depending on your plant’s nutrient consumption. 5. Set your timer to flood your plant container a couple times per day. If your system is using a combination of clay pebbles and another type of growing medium you may have to adjust the frequency of flooding as some materials hold water more readily than clay. Lastly, make sure your water drains before reaching the upper surface of your clay pebbles as this can encourage algae growth and can cause issues with plant growth. Clay pebbles can also be used outdoors if you have raised garden beds. The raised beds can be lined with plastic or pond liner and set up as a flood and drain system. The advantage of the flood and drain system in combination with clay pebbles is that the plant roots are kept moist and well aerated after each draining cycle. To learn more about rockwool, you can read a previous post on the Benefits of Clay Pebbles as a Growing Medium.Feature Image: Expanded clay pebbles used as a grow medium. Image via Almost Heaven Hydroponics.